Town may have fallen to their first home defeat of the season but this was against Premier League opposition, in a game where there were no points up for grabs. To be absolutely frank about it – which given my first name is I suppose my prerogative, the Blues probably deserved to draw this one because they could have led and had large junks of possession – especially in the first half. That said, it was the clinical finishing of West Ham United that decided the outcome and manager Paul Hurst will not be overly impressed with some of the Town defending- especially when they went a goal behind after just two minutes, when Brazilian forward Felipe Anderson, who was a 43 million euro summer signing from Italian club Lazio, found himself completely unmarked at the far post and had the relatively easy task of nodding home Ryan Frederick’s cross. In fairness to the Tractor Boys, their heads did not drop and it did not take long before the home side were on level terms when Dozzell spotted new boy Ellis Harrison’s run between two West Ham defenders and he played an exquisite ball through the eye of a needle, which the £750,000 signing from Bristol Rovers took in his stride, before nonchalantly poking the ball past Polish international keeper Lukas Fabianski and into the West Ham goal. It was a great reposte and from that moment on our young midfield grew in confidence. The West Ham winner came against the run of play on 68 minutes when Marko Arnautovic seized on some hesitancy in the Town defence, and he raced through unattended and poked the ball past Bialkowski to give the Hammers a largely undeserved lead. The presence of England under 19 youngsters Andre Dozzell, Tristan Nydam and Flynn Downes dominating the midfield was a delight on the eyes, and all three of them deserve special mention. Town have got their mojo back and these three had a big say as to the reasons why. I was also impressed with new signing Ellis Harrison who was leading the line and he not only scored but came damn close to getting another shortly afterwards, when his header hit the right-hand post from a Freddie Sears cross. Peterborough signing Gwion Edwards was also lively but in fairness, the whole team played with a verve and vigour not seen for a long time at Portman Road. Yes, manager Paul Hurst will have seen some weaknesses, and one of them is obviously the current lack of depth in his squad but most supporters will have left the ground today rather upbeat; not only because of the performance but also because of the potential of this team to steadily progress. 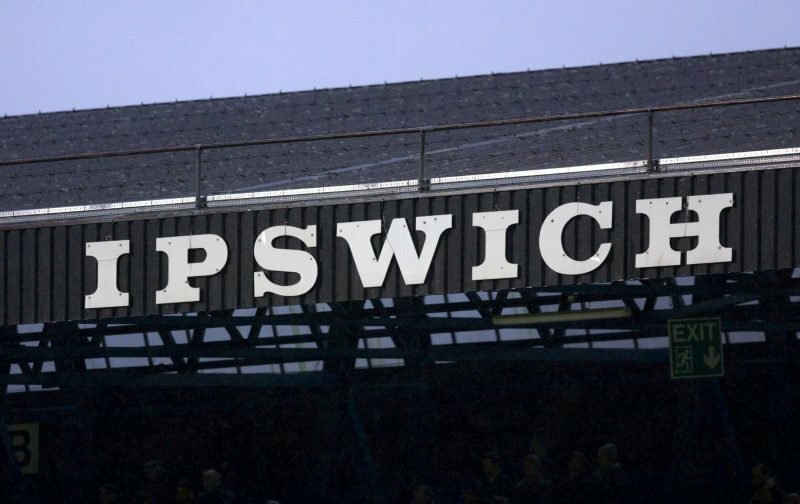 Ipswich Town: Bialkowski, Spence (Emmanuel 82), Woolfenden, Chambers (captain), Knudsen (Kenlock 73), Downes, Dozzell (Ward 78), Nydam (Chalobah 76), Edwards (Roberts 83), Sears, Harrison (Lankester 82). Unused: Gerken, Waghorn, Clements. West Ham United: Fabianski, Fredericks, Ogbonna, Balbuena (Diop 72), Masuaku (Zabaleta 72), Obiang (Rice 72), Kouyate (Snodgrass 46), Wilshere (Noble 46), Yarmolenko (Martinez 64), F Anderson (Haksabanovic 64), Arnautovic (c) (Cullen 81). Unused substitute: Adrian. The Referee was John Brooks of Leicester.